If the recent Delta power outage and subsequent air traffic supply chain disruptions taught the business world anything, it’s that having the right staff members in the right place and at the right time is a key component of business success. Going a step further, ensuring that customer service employees are trained to handle crisis management in times of extreme stress can literally mean the difference between unhappy customers and those who at least understand the company’s plight and its attempt to make things better. Delta’s problem started on August 8th when the company’s Atlanta-based backup systems went down, causing the airline to cancel or ground thousands of flights. And even though the system was back up and running six hours later, the damage was already done. Around the world, large-scale cancellations wound up stranding hundreds of thousands of passengers and wreaking havoc on their travel plans. The Delta reservation agents that Bastian mentioned—and the airline’s customer service team—undoubtedly played a key role in helping Delta manage the crisis, quell customers’ concerns, and get the overall company back on track and operating normally. At Hartsfield-Jackson Atlanta International Airport, for example, the airline says it activated its Peach Corps, a team of Delta volunteers from the airline’s corporate headquarters who regularly support the Airport Customer Service team during peak travel days and adverse weather events. Also, Delta reported that more than 200 employees provided more than 600 volunteer hours at the airport, helping with everything from guiding customers through the check-in process to way-finding in the concourses. They also delivered more than 4,000 Krispy Kreme donuts to customers in the concourses and to employee breakrooms. The Delta shutdown illustrates the value of good, caring customer service staff not just during times of crisis, but also 24/7/365. By hiring, nurturing, and retaining a strong customer support staff, your firm will stand a better chance of cultivating a large and loyal base of customers who realize that mistakes and missteps happen from time to time. A Best-in-Class workforce, one that responds to a crisis with ease and expertise, can be nurtured using these tips. 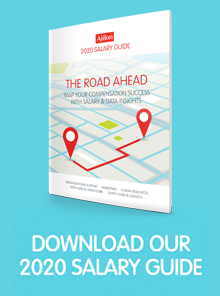 The 2017 Salary Guide will be here soon! You've got a very specific area of expertise. So do we. Our recruiters and staffing specialists work with only the best administrative, non-clinical healthcare, human resources, and supply chain and logistics professionals in the country. That's all we do. Every single day. Sign up for updates about our newest content and workforce insights!